We always played with a very majority of SunRise Kendama or Ozora, we started talking about something ... what has balls! 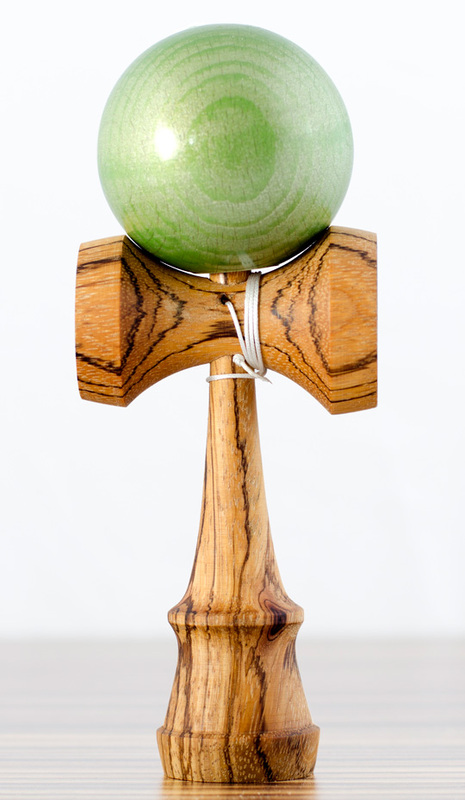 Handmade Kendama of beautiful exotic wood, that meets all our requirements. After 5 days plank came in, Janda sharpened chisels, cut the wood, turned on a lathe, Balls were sprayed by Trojka Kendama, we have made original cups (stripes), we stringed all kendamas together and the result is great playable ZOOT-Zebrano metalic Kendama!